The Dodgers might have found yet another diamond in the rough and by now it's starting to become routine. From Justin Turner and Chris Taylor turning from bench utility players into NLCS MVPs in 2017 was truly an unpredictable feat years ago. Now in 2018, the Dodgers have a player doing something that fits the pattern to a T and it might not just be a fluke, at least for this year. 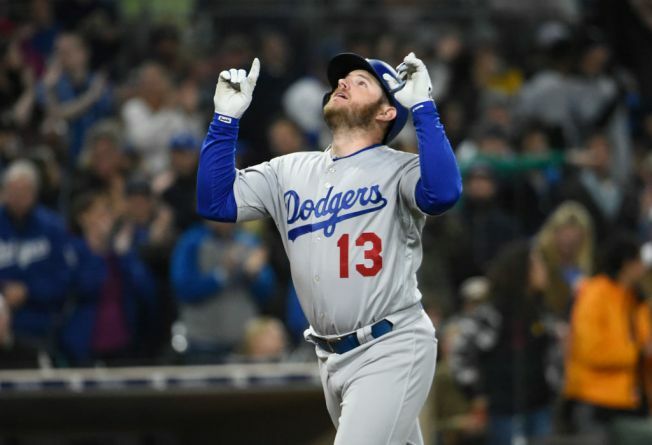 Max Muncy was released by the Oakland Athletics at the beginning of the 2017 season and not a month later picked up as a free agent by the Dodgers. His 2017 in AAA OKC was terrific putting up a .905 OPS in 379 plate appearances for a wRC+ of 139. Of course many players will put up great numbers in the minors and fail to break through in the majors but Muncy might have finally figured things out. For starters, Muncy knows how to take a walk. The Moneyball centric A's are of course the first team that comes to mind when accumulating players that have plate discipline and Max Muncy has embodied that at almost every minor league level and also in his brief stints in the majors. His only stretch with a single digit BB% was in 2015 with the A's in 112 plate appearances. To start 2018, Muncy is sporting an excellent 13.5% walk rate which is 2nd on the Dodgers only behind Austin Barnes (who's season is another topic of discussion) and solidly above the league average in 2018 of 8.7. Now first to come to mind immediately with break out performances is sample size, but with 126 plate appearances so far in 2018 Muncy is above the 120 mark Fangraphs has listed as a stabilization rate for BB% meaning Muncy's 2018 in terms of his patience isn't an anomaly. That coupled with his past history of being a patient hitter, this part of Muncy's game seems primed to stay for as long as he does. Next thing many look to when examining whether an offensive performance can sustain is usually BABIP. Many continue to look at Matt Kemp's BABIP in 2018 as an example of his impending offensive slide but 2018 Matt Kemp laughs in the face of doubt and continues to chug along (sorry I wrote about you not staying with the team long term, please stay forever). So what's Max Muncy's BABIP? A meager .254, just .011 points higher than his current average of .243. Muncy has never been a high average guy throughout his career in the minors and majors so this isn't much of a surprise. What IS surprising is what Muncy is doing with his power. His .308 ISO is far and away the highest on the team ahead of Kemp's .228 mark. For reference to those not familiar with ISO, it is "a measure of a hitter’s raw power and tells you how often a player hits for extra bases. We know that not all hits are created equally and ISO provides you with a quick tool for determining the degree to which a given hitter provides extra base hits as opposed to singles." This is why Muncy, while not having the highest slugging percentage, is still crushing the ball for extra bases more often than not. When he gets a hit, it's usually for more than just one base. Among all major leaguers this year, his ISO ranks 7th behind Jose Ramirez and ahead of Manny Machado. Now with ISO the stabilization rate is 160 ABs which Muncy has not yet cleared, he's 53 ABs shy of hitting that mark. However other rates show he might get to that mark and still be crushing the ball for homers and extra bases. In terms of fly ball and ground ball rate, Muncy is at 79 balls put in play which ground ball rate and fly ball rates tends to stabilize at 80 balls in play. Currently Muncy's been hitting ground balls at a below average level and fly balls at an above average level (something something fly ball launch angle revolution). We can expect this trend to continue for the most part in 2018. Muncy's HR/FB ratio is very high at 25% but his 35 fly balls are just 15 shy of when we can expect it to stabilize. Even if Muncy flies out 15 more times without getting another homer, he'd still have an 18% HR/FB ratio, 6% higher than league average. Muncy is also very selective in the pitches he swings and takes. His 20.7% O-Swing% (pitches swung out outside of the strike zone) is 9 points less than league average, meaning he doesn't chase as much. His Z-Swing% (pitches swung at inside the strike zone) is about 6 points less than the league average of 67% meaning he isn't swinging as much at strikes coming at him. He's waiting for his pitch and right now he's seeing it and hitting it. Whether he continues to get those pitches and take advantage of them will remain to be seen but it's hard not to like the results so far. So with all this considered, Max Muncy's surprising breakout start to the season might not fizzle out completely. Muncy has shown great improvements in his start to the 2018 season and patience at the plate is important for sustained success. Max Muncy is basically doing what everybody thought Cody Bellinger would be doing in 2018: taking walks and slugging homers. With Cody Bellinger struggling at the plate immensely here in 2018, the Dodgers have found yet another piece in the depth puzzle to not skip a beat. Munch on, Max. Dodger fans are probably thinking to themselves which game was crappier: the one in which literal poop water was spewing onto the field or the one in which the Dodgers failed to score on Opening Day in a loss to the Giants. Considering the poop water brought with it a victory, it's hard not to think the latter was worse. Clayton Kershaw earned himself the top spot in franchise history for Opening Day starts on Thursday and was undefeated in those games with an ERA under 1. Unfortunately for him, a team can't win while scoring less than 1 run and we all got a reminder of that basic logistical outcome yet again. The Dodgers were able to muster up 11 baserunners, 1 more than the Giants were able to get, but with only scattered walks and singles to go around there was less scoring going on than a baseball team or even a frat boy in college would prefer. Kershaw himself ended up with exactly a third of the Dodgers' hits on Thursday leading manager Dave Roberts to ponder why he didn't bat Kershaw third in the lineup. So what does this all mean for the Dodgers? Well extrapolating the outcome of Thursday to the entire season does not bode well for them. The Dodgers will historically end up going 0-162 failing to score a single run the entire year. Ignoring the fact that other starting pitchers play for the Dodgers, Kershaw will start every game and end up doing quite well eventually winning the batting title after batting a perfect 1.000, first player to ever do that. He'll give up 162 home runs which doesn't sound very good and will break the record for a single season but his ERA will still be pretty solid despite what will undoubtedly be an atrocious FIP. If the voters' can look past 162 home runs I think he'll have a shot at another Cy Young despite his also terrible looking 0-162 W/L record (in the age of advanced stats I think enough voters can ignore the record). The bullpen will be the shining star of the season with J.T. Chargois, Josh Fields, and Tony Cingrani becoming bullpen behemoths. Their 0.00 ERA in 162 innings each will break records simultaneously while putting up some of the best relief years the game has ever seen. Mark Prior, the new bullpen coach, will be considered the turning point and no doubt swarmed with offers of contracts and pitching reclamation projects. As for the offense, it's hard not to look at never scoring a single run and look at the positives. But here we go! Yasmani Grandal despite being known as a more patient, slugging catcher will be playing out of his mind getting 2 singles and a walk every single game as he starts the All Star Game batting lead off. With Chase Utley's limited playing time in only getting 162 ABs, his 1.000 average would tie him with Kershaw as the highest ever in a season but he will fail to meet the minimum AB requirement and miss out (still a hell of a bargain for $1mil a year). Matt Kemp's bounce back year will be mostly a success with a .333 average and .500 OBP as a mostly singles hitter much like Grandal. The rest of the lineup, however, will be a black hole of nothingness breaking major league records for worst offensive performances in history. The names Cody Bellinger, Corey Seager, and Chris Taylor will forever be tarnished and likely driven out of town by hordes of angry mobs. Austin Barnes and the rest of the bench will think they've somehow gravely slighted Dave Roberts as he refuses to start them in any of the games this season. Dave Roberts will be befuddled, staring at reporters with dead eyes wondering why his team that was so good last year continues to fail even though he changes nothing at every opportunity while Magic Johnson tweets fake sentiments of optimism. Alex Friedman and Farhan Zaidi will try to spin it as advanced tanking being the new market inefficiency but fans will see through the lies and their faces will be plastered on dart boards across Los Angeles. It will be the most interesting season in Dodgers' history and one that will either fill a Dodger fan with dread or eventually break their spirit so much the pain becomes humor and the entire city will laugh at their dancing clowns as their season plunges into a fiery pit of misery. The bright side is the burning jerseys will keep the city warm in the offseason. See you all in 2019! It's Opening Day! 2018 is underway and the Dodgers' roster has been set to start the season. It's largely the same group of players that went all the way to Game 7 last year with some minor additions and subtractions here and there. 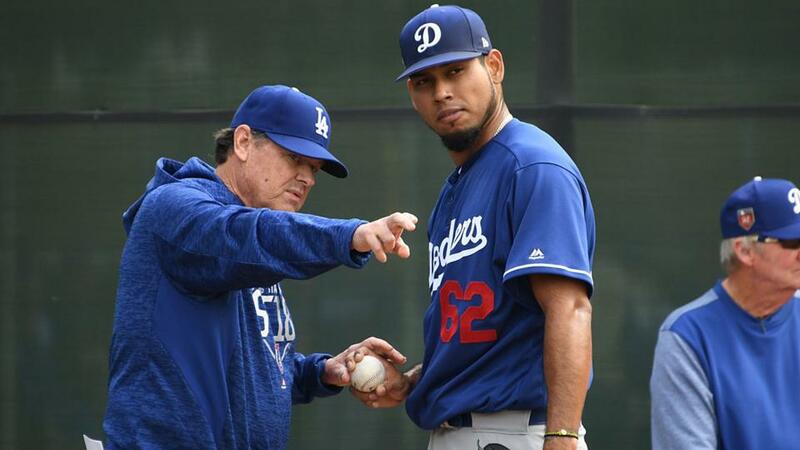 2 new faces to start the season in the bullpen stick out the most and even if you follow the Dodgers pretty closely you might be a little surprised to see the names Wilmer Font and J.T. Chargois in the bullpen to start 2018. So who are these guys and what are they doing on the defending NL Champ's roster? Well keep reading and maybe I'll say something about them, probably starting right now. Wilmer Font was a player the Dodgers signed in free agency in December 2016. In the 10 years he's been bouncing around the minor leagues, he's accumulated only a total of 7 innings pitched at the major league level, and you might remember 3.2 of those innings came last year in September with Font joining the roster when they expanded. You might also remember him giving up JD Martinez's fourth homer in a game last year but I won't fault you if you've been trying to forget that happened (even if the commercial breaks on MLB.tv are doing their best to make sure you don't...). Font wasn't very impressive last year in his extremely few innings given but in the minors in 2017 he put up pretty solid numbers as a starting pitcher. In his 134.1 IP in 25 games he had a 3.42 ERA, 1.109 WHIP, and a very impressive 11.9 K/9 against a 2.3 BB/9. The K/9 is probably what is most attractive right now to the Dodgers about Font as he still had a 9.3 K/9 clip this Spring (although struggled with run prevention to the tune of an 8.44 ERA in 10.2 IP). 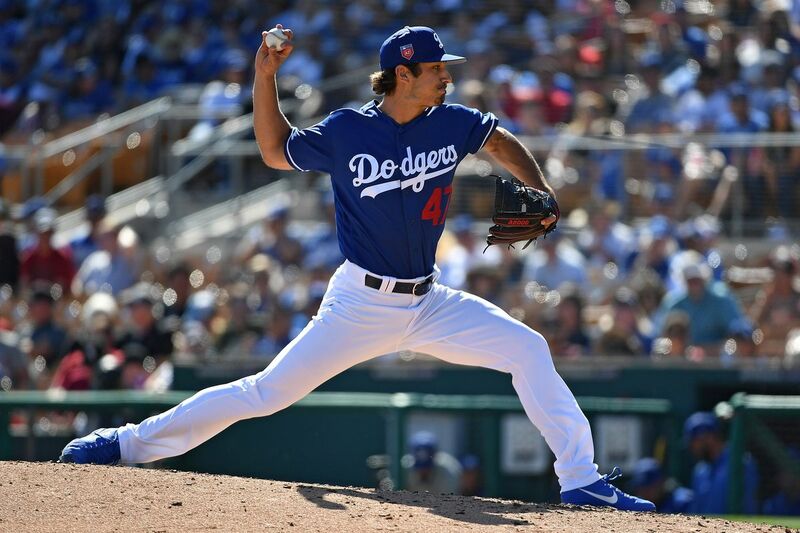 He's also a converted starter heading to the bullpen which seems to be the new in thing with baseball as many starters are seeing great success (look no further than Ross Stripling, Brandon Morrow, and even Kenta Maeda in the playoffs last year to see what can happen when starters head to the pen). Baseball Reference's projections aren't as high on Font as Fangraphs' is (BBREF has 27 IP to a 4.67 ERA with a 1.407 WHIP, Fangraphs' Steamer Projections has him at 90 IP, 3.51 ERA, and a 10.56 K/9). The difference in innings pitched is interesting and it comes with Font being a starter for much of his minor league career, a spot start might be in the future depending on the health/effectiveness of the rotation right now. Of course we're talking about a player that doesn't even have double digit innings pitched in the majors so what happens is anyone's guess. J.T. Chargois is a major league veteran in sample size if we're comparing him to Font with a whopping 23 innings pitched in the majors. Those innings came with the Twins back in 2016 and he was okay if you look at advanced metrics (but in that measly sample size). He wasn't a strikeout pitcher in recent years and his sinker gets him ground balls at an above average rate but this Spring saw him crank the Ks up with 12 in 9 innings to 3 walks and 3 hits given up. Early in his career in the minors, he was putting up K numbers similar to that of this spring courtesy of a triple digit fastball and the Dodgers are no doubt hoping he can continue to put those numbers up even with a lessened velocity and keep the ball on the ground. The concern with Chargois (like a few other Dodgers pitchers...and pretty much any pitcher) is with health as Chargois has not only had Tommy John but also has dealt with a stress fracture in his elbow. He was a self proclaimed "violent thrower" and with a mechanical change is hoping to stay healthy and be effective in 2018. Projections for Chargois are a bit more favorable than Font for both sites, BBREF projecting 27 innings, a 1.407 WHIP, and a 4.33 ERA; Fangraphs' Steamer with 30 innings, a 1.31 WHIP, and a 3.66 ERA. Neither have to worry too much about being the guy in the bullpen with the late inning roles no doubt covered by the other veteran Dodgers in the bullpen but both are being given an opportunity on a team that's not short of solid replacements for either. Much like Chancellor Palpatine to young Anakin Skywalker, we will watch their career with great interest. The first day of Spring Training exhibition games begins tomorrow and Matt Kemp is still a Dodger. Acquired in the offseason from the Braves in a swap of expensive burdening contracts, Kemp returns to a Dodger team that really has no place to put him. Already lined up to split outfield duties in 2018 are: Chris Taylor, Yasiel Puig, Joc Pederson, Andrew Toles, and Kiké Hernandez. That's not even counting Trayce Thompson and Alex Verdugo who could also factor in later in the season (yes I know with Trayce Thompson that's why I said could also factor in). While all of those names might not be better hitters than Kemp, defensively they are more capable of handling an outfield spot. When the Dodgers acquired Kemp, it was no secret his talent was not the main factor in making that trade and rumors are constantly swirling on finding him a spot in the AL for a DH. But as of right now, Kemp is a Dodger and the fight for left field is on. Andrew Toles missed much of last year with a torn ACL but he's ready to begin playing in games already and will certainly be a replacement candidate for that spot. Kiké Hernandez against lefties in the outfield another possibility, Joc Pederson who normally played center in his career might also be placed there if Chris Taylor does indeed stay the every day center fielder. Going by Fangraphs' depth chart and projections, Kemp isn't projected to start any game in the outfield this year. With still a month left to go before the regular season, that is certainly a possibility based on how he looks in the outfield. The analytics driven front office of the Dodgers is definitely not ignoring defensive metrics, it's a big reason why Kemp was traded away in the first place (among age and other factors like many other capable outfielders). With all of that factoring in, should Matt Kemp still be on the Dodgers come the end of March? It hurts to say but probably not. With so many other options and outfield prospects waiting in the minors, Kemp isn't really a strong depth move. If even two of the names listed end up getting hurt sometime this Spring and can't make the Opening Day roster, Kemp is still not the ideal option to fill in with plenty of options in the minor leagues. It might hurt but losing Kemp once has already provided training for Dodger fans to deal with having to see him leave. Maybe the front office is playing a sick joke on the fan base by acquiring a player most loved only to again crush their hearts and laugh at all of us for having feelings for a guy who brought us that 2011 magic. For rooting for a winning smile and that all out play style in center field. The guy who dated famous pop stars and so gracefully backtracked on his baseball town remarks like a fly ball heading for the Coors Field outfield wall. Some still have hope that Kemp is indeed in the best shape of his life and can make a difference and to them I won't poke fun, believe with all your hearts but try not to be hurt again. Trade me once, shame on you and all of that jazz. If you’re a Dodger fan, at this point you’re most likely just waiting for the regular season to end and the playoffs to commence. Not to say it hasn’t been fun for you watching the team steamroll through almost any opponent thrown at them at an almost historic pace, the real test is always going to be the playoffs. In recent years emphasis has been placed on relief pitching in the playoffs and the Dodgers’ bullpen currently comes equipped with the third lowest ERA, fourth lowest FIP, third highest K/9, and the lowest BB/9 in the entire MLB. They’re leading all those categories amongst teams in the National League. Needless to say, they’ve been good and a big reason why when the Dodgers have a lead, they usually don’t lose (unless they’re playing their kryptonite, the Braves). There’s been talks of what the Dodgers’ rotation is going to look like come October with the recently acquired Yu Darvish. Clayton Kershaw, if healthy, is the no brainer number 1. After that it’s a question of not only who, but how many. Last year’s playoffs saw the Dodgers stick to a 4 man rotation consisting of Kershaw, Kenta Maeda, Rich Hill, and Julio Urias. However, in 2015 the playoff rotation in the NLDS against the Mets featured just 3 in Kershaw, Zack Greinke, and Brett Anderson. This year with the acquisition of Yu Darvish, the Dodgers have somebody with a similar pedigree of a Zack Greinke and with the way Alex Wood has thrown, he’s pitching just as effectively too. Whether they go with 3 or 4, somebody is going to be the odd man out and most likely be used in the bullpen. Not only that, but with the amount of starting pitchers currently on the Dodgers’ payroll, it’s possible they would want some of them in the bullpen anyway and it might be to their benefit if you look closely at two relievers in particular. Pedro Baez has been an enigma in the bullpen in recent years but this year for the most part he’s found a way to be effective. Some will look at his 1.89 ERA and be impressed seeing as that is a pretty low number for a pitcher and much improved for Baez. Look a little further and the ERA sticks out as kind of dubious. Pedro Baez currently has his lowest K/9 since his debut year in 2014, his highest BB/9, and his highest FIP and xFIP ever. The biggest change this year though? Pedro Baez’s LOB% is at 94.4%, a career best and is 20% higher than the average for a reliever. The amount of hard hit balls has not changed drastically off of him and his ground ball rate is also under league average...all of this seems to point to something giving way at some point. There has only been one season in Baez’s career where his ERA has been higher than his FIP and with almost nothing changing to suggest a drop in ERA of almost a run and a half, it might benefit the Dodgers to go with somebody like Kenta Maeda, Hyun-Jin Ryu, or Brandon McCarthy come October. Baez isn’t the only one of concern in this department either, Josh Fields is also having a very similar season to Pedro Baez. Josh Fields K/9 and BB/9 are actually better than league average for a reliever and in line with his averages, but the concerns start to crop up when you look at the same thing: LOB%. Josh Field’s LOB% is sitting at 93%, that is 3rd in the MLB among qualified relievers (Pedro sits at 2nd). Not only that, but Josh Fields’ ground ball percentage of 26.8% is the 3rd worst in the MLB, only behind teammate Chris Hatcher and the Cubs’ Koji Uehara. When you look at the leaderboard for LOB%, their names start to stick out amongst the others like Craig Kimbrel, Archie Bradley, and Corey Knebel (Knebel and Kimbrel being All Stars, Bradley leading the Diamondbacks’ bullpen in fWAR). It’s hard to keep a LOB% of 90 even if you’re among the elite in the game, and none of Pedro Baez’s or Josh Fields’ stats seem to indicate that they’ve been among the elite besides that LOB% and to an extent ERA (which is problematic for relievers as it is). While Pedro’s BABIP this year is of less concern in this department as it is around his career average, Josh Fields’ is almost .80 points lower than his average and that could be of a concern come October when a ball in play might just fall in for a hit in a crucial part of the game. Of course all of this is just guesswork and hypothesis, Baez and Fields have not faltered enough to be a large detriment to the bullpen. All these numbers are evidence but none factor in the human element of the game and come October if they’re still maintaining their LOB% and other supplementary stats to be effective, they might earn the spot on the playoff roster. It’s baseball and crazier things have happened than going an entire year with very good luck when it counts. However, the Dodgers’ managerial staff led by Dave Roberts has not been known to be very cookie cutter and by the books (just ask Rich Hill and Ross Stripling when they were taken out of their perfect game/no hit bids). If the more advanced analytical front office has any say (and they have access to the same numbers, if not more detailed ones) there might be some hurt feelings for the best later in the season. The Dodgers are sitting on a wealth of pitchers in their rotation. Health is a factor for some, but when Kershaw comes back from his back problem and if McCarthy gets his blister under control, there are plenty of solid choices to go into the bullpen for a Postseason run. The Dodgers have already started top prospect Walker Buehler on a transition to the bullpen to be ready for the major leagues later in the year. Kenta Maeda and Brandon McCarthy alone have a better FIP than both Fields and Baez and Hyun-Jin Ryu since late June has been terrific. Even if 1 of those names is kept as an emergency long-man for the postseason (even though Ross Stripling has done very nicely in that role), the Dodgers still can replace Baez and Fields and take their bullpen from arguably one of the best to the absolute best when the games start to matter. It's no secret that 2016 was a terrible year for Dodger hitters against left handed pitching. The narrative followed them throughout the season as they struggled to find any offensive success against southpaws. Just how bad was it? The Dodgers were last in all of baseball against lefties in average (.213) on-base percentage (.290), slugging (.332. Combining all three naturally gave them the lowest OPS too, a .622), and wRC+ (72). Basically every major offensive statistic you can think of the Dodgers were dead last or near the bottom. Of the 11 Dodgers who had at least 50 plate appearances against lefties, only 2 had a wRC+ over 100, Yasmani Grandal (120) and Yasiel Puig (110). Looking back to 2015, 9 of 12 Dodgers who reached at least 50 plate appearances against lefties had a wRC+ against lefties of at least 100 or more. The most notable drops from 2015 to 2016 were Kiké Hernandez (234 in 2015 to an 85), AJ Ellis (157 in 2015 to a 71), Adrian Gonzalez (120 in 2015 to a 67), and Justin Turner (111 in 2015 to a 77). All had spectacular to above average offense and all saw sharp declines in offensive production in just one year. Left off this list is Scott Van Slyke who had a 124 wRC+ in 2015 but was injured through most of 2016 and saw limited action vs. lefties with only 42 plate appearances (he had a 100 wRC+ in those PAs). Just moving from 2015 to 2016, the Dodgers' batting average dropped 50 points versus left handed pitching. the total weight of Alexi Amarista. So what was the issue? Looking at their BABIP versus lefties, things start to look peculiar. The Dodgers BABIP (batting average for balls put in play) in 2016 versus lefties was a major league worst .260. For comparison, their BABIP versus righties was .307, good for 7th in the majors and a leap of .047 points. That .260 BABIP mark versus lefties was also the lowest mark the Dodgers have posted in the last 15 seasons. Over those 15 seasons the Dodgers' average BABIP versus left handed pitching was .297, a .037 increase from their 2016 mark. In fact their BABIP versus lefties had never dropped under .283 until the 2016 season. The past three seasons, 2014-2016, line drive percentage, ground ball percentage, and fly ball percentage were very similar and their BABIP versus lefties was .294 in 2014 and .312 in 2015. While it's an easy excuse to chalk certain things up to luck of the game, the numbers certainly point to some massive bad luck with BABIP against lefties. This offseason, the Dodgers added a couple of right handed batters in the form of Logan Forsythe and Darin Ruf that look to help the Dodgers when it comes to left handed pitching. Darin Ruf in 318 major league plate appearances stretched over a few years has put up a 151 wRC+ against lefties while Logan Forsythe has a 127 wRC+ against lefties in his 722 major league plate appearances. If players like Trayce Thompson and Scott Van Slyke also stay healthy, the threat of left handed pitchers will be alleviated even more as well. But 2016 in terms of the players that played and will stay with the Dodgers in 2017, it might just be an outlier. Taking away ABs from Adrian Gonzalez and Joc Pederson versus lefties will also help dramatically if Trayce Thompson and Darin Ruf can do what the front office believes they are capable of doing. Justin Turner's wRC+ had also not dipped below 100 since his arrival in LA but has dropped each of the last three years and will probably see his numbers versus lefties improve with the lingering injuries that were bothering him early last season. Kiké Hernandez's 2015 will probably not be replicated as his BABIP was astronomical and it was the only season that he ever put up numbers like that in the bigs. But any improvement against left handed pitching that is seen from anywhere will gladly be taken. The 2016 MLB Winter Meetings concluded on Thursday and while a handful of teams found themselves overhauling and unloading, the Dodgers weren't among them. The big move made by the Dodgers being the 3 year deal Rich Hill signed for $48 million but aside from that there was only speculation and rumor. The big free agents from the Dodgers, Kenley Jansen and Justin Turner, have been thrown about in rumors but with Turner and Jansen in Curacao for Jansen's wedding, no progress has been made on a deal for either. Leaving the Winter Meetings, the Dodgers find themselves in need of a second baseman, a third baseman, and a closer. Turner is without doubt the most attractive third baseman in free agency and with Mark Melancon and Aroldis Chapman signing record deals for free agent relievers, Jansen now sits pretty aiming for a similar deal if not more. Second base is currently also a mystery as Chase Utley remains unsigned and Howie Kendrick having been traded to the Phillies. While a quiet Winter Meeting from the Dodgers' front office might cause some concern among the fanbase about the team's current state, just remember that even last year's meetings were fairly uneventful for the Dodgers (with some notable differences). 2015's Winter Meetings saw the Dodgers drop many deals and only walk away with a signing of Chase Utley. Hisashi Iwakuma was supposedly signed but the contract was turned down by the Dodgers after concerns in his physical and the Aroldis Chapman trade fell through from allegations of domestic violence that led to his suspension. This is not to say the 2015 offseason wasn't a failure by any means for the Dodgers after they scored a very nice deal on Kenta Maeda, signed Scott Kazmir, Howie Kendrick, Joe Blanton, and also traded to acquire Trayce Thompson and Micah Johnson. Most of those names contributed pretty significantly to the Dodgers in 2016 and all moves were made after the Winter Meetings. While the Dodgers seemed more active last year in trying to make moves, when it was all said and done they weren't walking away with many key transactions. 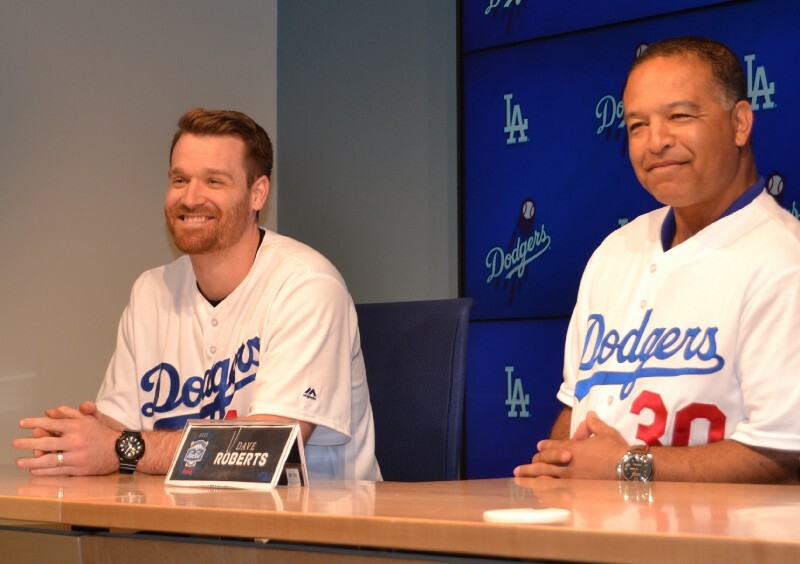 Make no mistake, the Dodgers are certainly not done addressing their needs in this offseason. With the big meetings out of the way, the front office is no doubt looking at the dust settling and which teams are ready to make a trade or which free agents are fit for the team. Rumors have circulated that the White Sox and Dodgers have talked Todd Frazier and David Robertson and the Dodgers have also been linked to the Twins for second baseman Brian Dozier. Losing Justin and Turner and Kenley Jansen could be big blows as both were fan favorites (especially with Kenley Jansen just coming off setting the all time save record for the Dodgers) but with a relatively weak free agent market for infielders a trade would be the best bet if the price is not right on either of them. Expect something big in the coming months and when the New Year starts don't be surprised if it brings with it some new faces around the diamond.